Comic Con International created a $177.8 million boon for the city of San Diego, according to the San Diego Convention Center. The July event drew 130,000 attendees and $78.3 million in direct spending. The first Comic Con, dubbed “International Comic Con: San Diego,” was held in 1970 with a goal of putting a comic book convention in Southern California. That original event drew just 100 attendees with hopes of raising awareness for the event. The plan worked, and 40 years later, the convention attracts celebrities, movie studios and technology giants hoping to unveil their latest gear to an eagerly awaiting fan base. Here’s a look at some of the gadgets and props appearing at this year’s International Comic Con. Mattel unveiled a special edition Darth Vader-inspired Hot Wheels car. To accompany their newest car, they also showcased a life-sized replica that actually drives. The cost of the toy car is a little steep, but probably worth the sticker shock for “Star Wars” fanatics. For just $40, get the car in a light saber packaging. The car will be released to the public in October. To stay up to date on limited edition Hot Wheels cars and their release dates, check out Mattel’s Car Collector site. Harley-Davidson teamed up with Marvel Comics to showcase electric motorcycles through their new Project Live Wire. The bikes are featured in “Marvel’s Avengers: Age of Ultron”, including the Black Widow’s motorcycle. Guests got a chance to check out Natasha Romanoff’s bike and wish for a chance to be Scarlett Johansson’s stunt double. Get the scoop on the latest motorcycle trends at BikeBandit’s Community section and brush up on your road knowledge. Not every prop was featured in a movie at this year’s Comic Con. Ever wondered how a 3D printer worked? Print up your own batch of customized figurines on a 3D printer selling for around $1,000 each. The Gentle Giant brand printers from 3D Systems unveiled its 3D scanners, printers and apps to create your own action figure. Lucky Comic Con guests could even step up to get themselves scanned and printed and turned into an action figure. Ben Affleck steps into the role of Batman in “Batman v Superman: Dawn of Justice” movie. The upcoming movie release marks Batman’s 75th anniversary. Batman is still looking pretty good in his old age, and his costume generated a big buzz. Comic Con attendees also go to see past Batman costumes worn by Michael Keaton, Val Kilmer, George Clooney and Christian Bale. Find the latest Batman news at Batman-News.com. 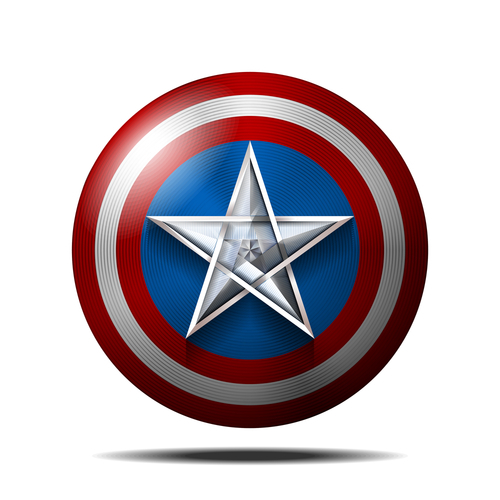 In real life, Captain America’s shield isn’t as indestructible as it seems. Marvel put up the cracked shield, leading guests to buzz about who could have broken the impenetrable shield. The assumption is its Ultron, hence the new title, “The Avengers: Age of Ultron.” Now we can all wonder if the shield will ever get fixed and who will defeat whoever managed to crack it. Enter the mind of Professor X from “X-Men” with 20th Century Fox. An interactive digital experience recreated the experience with an Oculus Rift virtual reality headset. A replica of Professor X’s wheelchair was also on display, along with the chance to virtually hunt for shape-shifting Mystique. Although the Oculus technology isn’t available to mass consumers yet, Facebook purchased the company behind the technology for $2 billion.